Shropshire is a county abounding with folklore intermingled with history in its beautiful landscape rich in heritage from the hills and river valleys to deep wooded areas. Legends prevail and centuries old stories are shared; Shropshire even has its own small museum dedicated to the subject – the Mythstories Museum of Myth and Fable. The countryside near the border with Wales is a place I often explore and there are plenty of castles brimming with tales and resident ghosts. 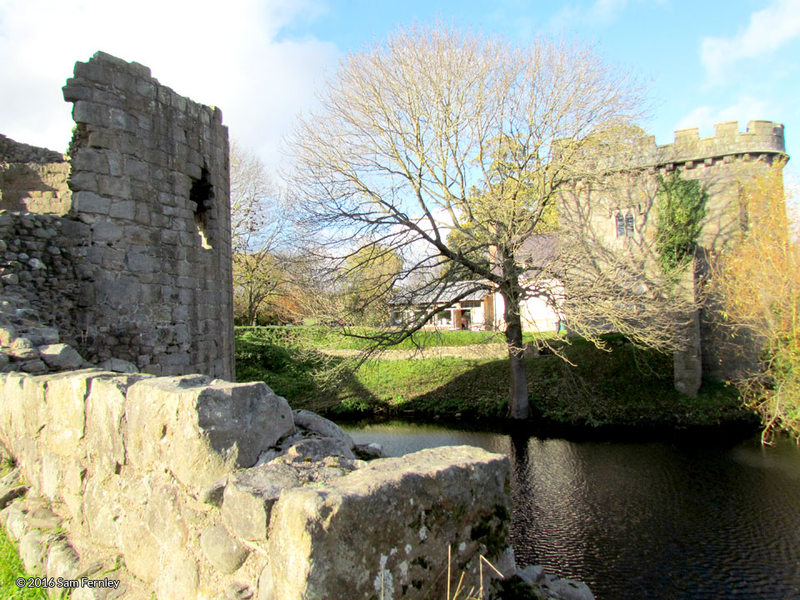 Near Oswestry in northern Shropshire is a castle of romantic beauty, Whittington Castle, with a history of settlement spanning back to the Iron Age. There is an atmospheric feel that gives you goosebumps and a feeling of otherworldliness as you explore the ruins. Dark Ages home of the King of Powys. Land here was marshland and it was believed that early settlement used that as a defensive mechanism. A vein of thought is that the earthworks in this location were Pengwern, meaning head or end of the marsh, where the Dark Ages rulers of the Welsh kingdom of Powys resided. 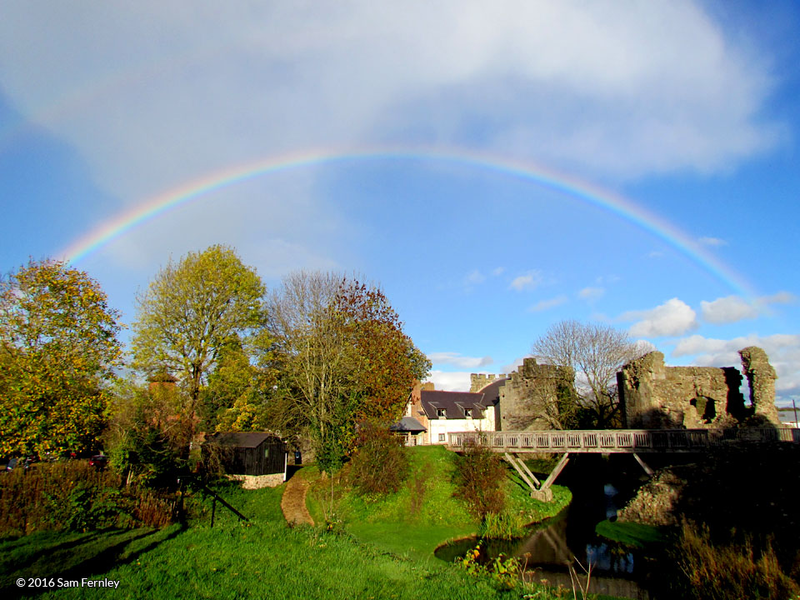 A series of tragedy poems written around the 7th century describing the life of King Cynddylan indicate his hall could be sited underneath the castle. He was a prominent ruler who with allies defeated the Northumberland King Oswald whose head and hands were cut off and hung from a tree – Oswald’s Tree giving the name to the town of Oswestry. At some point an Iron Age carved stone head was discovered and thought to be an indication of Celtic ritual on the site. The Holy Grail in the chapel. Whittington castle is on Shropshire’s Arthurian Trail map based on the ‘real’ King Arthur, Owain Ddantgwyn, a 5th century warrior king rather than the more romanticised version. Many similarities and a manuscript in the British Library shows how several places in Shropshire have King Arthur stories. The castle ended up in the hands of a descendant of Owain’s in the 13th century, Foulke Fitz Warine who was described in a medieval manuscript as a living heir of Arthur. Legend says that Foulke was the guardian of the Holy Grail which was kept hidden in the chapel of the castle. Many Arthurian tales describe the grail as being in the white castle, which Whittington is known as locally, due to its light coloured stone. 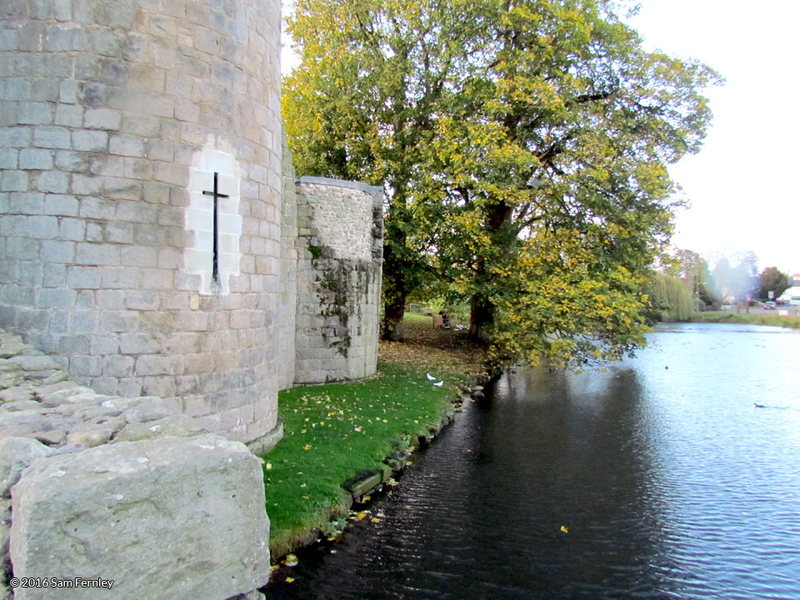 The castle was once moated but all that remains now is a pond, a popular spot to stop off with young children and feed the ducks and geese. However, in its silty depths may lie the key to the cursed Elizabethan trunk that was stored in one of the castle rooms. Chilling anecdotes of the trunk bringing bad luck or death to those who open it are linked to the ghostly sightings of two young children in one of the windows of the gatehouse tower. The legend says that they died a gruesome death after it was opened, hence it is now permanently shut and removed from the castle with the key far, far away! Whittington has become a hotbed of mysterious activity and of much interest to paranormal investigators who have reported balls of light, mists, phantom blacksmiths and a lone horseman. The Romance of Fulk FitzWarin. Fulk FitzWarin III (b. circa 1160) was the son of a Marches lord from Whittington Castle who grew up in the court of King Henry II. A medieval French romance called Fouke le Fitz Waryn tells of his life, where we hear of Fulk playing a game of chess with Henry’s son – the future tyrant King Richard. A quarrel erupted resulting in a grudge that spilled over into adulthood. Fulk rebelled against King John to regain the Whittington Castle estate after John gave the land to rival baron Morys FitzRoger. Legend says that Fulk became an outlaw, eventually killing FitzRoger and then living in the hills and woods of Shropshire, robbing people as they passed through. In parts the story bears much resemblance with the folklore of Robin Hood. Dressed as a charcoal burner, Fulk tricked the hunting party of King John, taking them deep into a forest to show them a mighty stag, but instead captured them until John agreed to return Whittington to its rightful owner. The King agreed but then broke his promise and Fulk continued to live as an outlaw for many more years, some say stealing from the rich to redistribute to the poor. Fulk’s popularity grew and his band of men besieged Whittington and King John was forced to give the castle back for good to the FitzWarin family. Fulk founded Alderbury Priory and it is here that he lies after living to a grand old age. 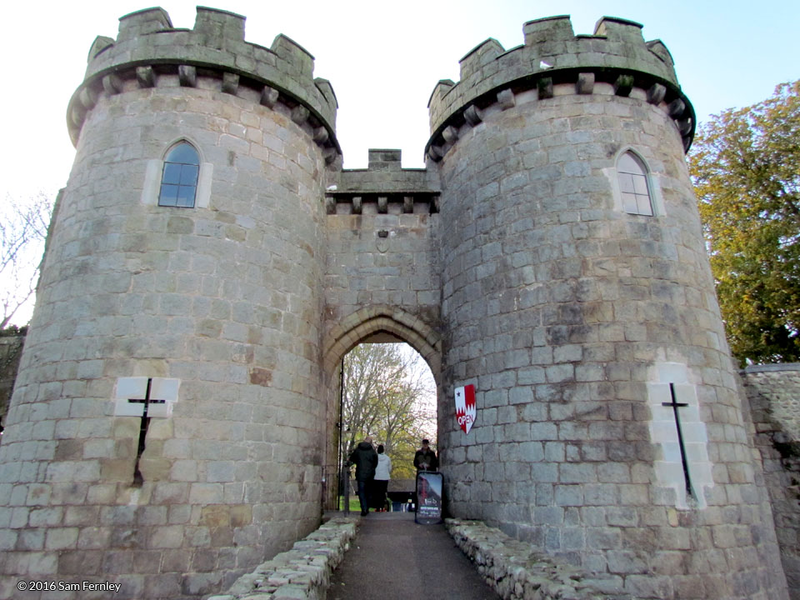 Whittington Castle, Shropshire is community owned and has free open access to the site every day. There is a café, bookshop and items found at the castle on display, open on certain days of the week. 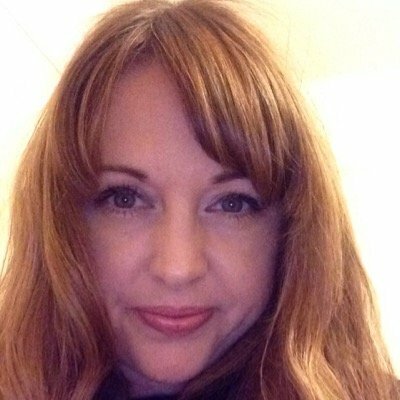 Sam Fernley is a lover of travelling around the countryside looking for local folklore and churches. You can find her website here.